begins a new chapter in the story of man’s future life. The Old Empire was crumbling into ancient barbarism throughout the million worlds of the galaxy. 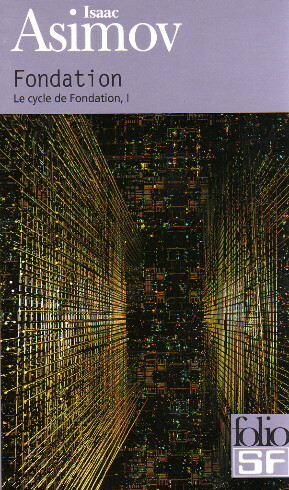 Hari Seldon and his band of psychologists must create a new life, the FOUNDATION, dedicated to art, science, and technology as the beginnings of a new empire. 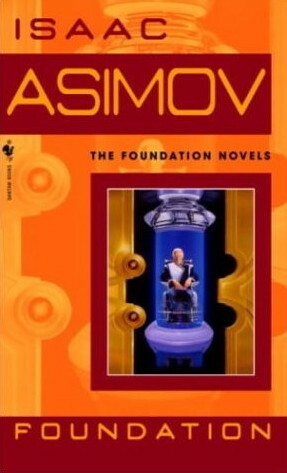 The Foundation novels of Isaac Asimov are among the most famous books in all of science fiction. 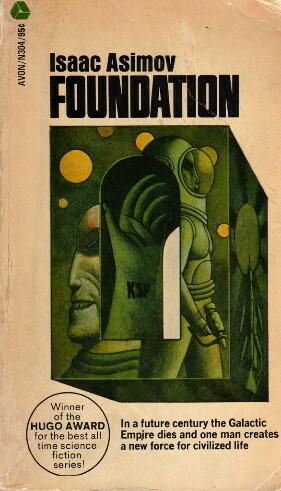 Foundation is usually referred to as a novel, but, of course, it is none such. It is a collection of five stories: four were originally written from 1941 through 1944 and published in John Campbell’s Astounding as “The Encyclopedists,” “The Mayors,” “The Merchant Princes,” and “The Traders.” (They were retitled “The Encyclopedists,” “The Mayors,” “The Merchant Princes,” and “The Traders” when republished in Foundation; the arrangement was also slightly altered with “The Traders” being put before the earlier story, “The Merchant Princes”). The fifth story is the first one in the book, “The Psychohistorians”. It was written in 1950 to provide a less sudden beginning to the Foundation series than was provided by the original story. This history shows, too. “The Encyclopedists” still has distinct remnants of Asimov’s early, “pulp-ish” style. On the other hand, “The Psychohistorians” is Asimov near his peak and has an absolutely riveting description of Trantor at the start of its decline. As for the stories themselves, they vary in quality, although this book contains neither the best nor the worst of the original Foundation series. “The Psychohistorians” is probably the best. I'm a sucker for courtroom dramas, and this one is well-done. 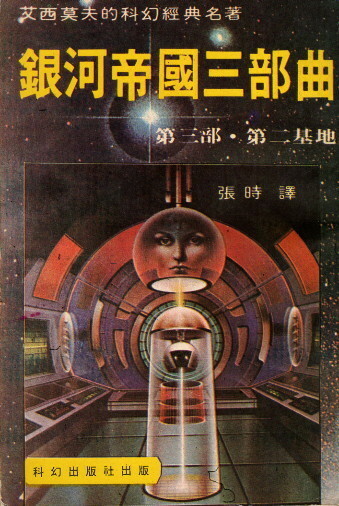 The characters are unusually well-drawn for Asimov, and the portrayal of Trantor is, as I say, riveting. The main problem with it, in fact, is in reconciling our picture of Hari Seldon given here with the picture we get from the last two Foundation books, Prelude to Foundation, and Forward the Foundation. “The Encyclopedists” has some cute moments (I love the application of formal logic to Lord Dorwin’s statements! ), and Hardin is fun, too. That helps overcome the comparatively primitive style. (It also has just about the most blatant sequel hook in anything I’ve ever read.) “The Mayors” is generally interesting and competent, but not stellar. “The Traders” is easily the weakest item in the book, but this is made up for in “The Merchant Princes”—another good courtroom drama with some neat twists. This is definitely good Asimov, there’s no doubt of that. If there are any real problems with this book, it is that it isn’t quite as good as the next two—which is certainly an instance of praising with faint damns.